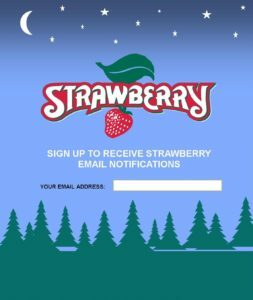 When you sign up for Strawberry’s email list will only receive important festival news including lineup announcements, information about ticket sales, special promotions, discount deadline reminders, and the occasional message from office staff. 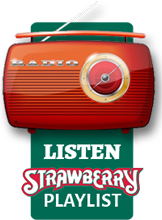 We promise not to clutter your inbox with daily trivia, so to engage with the Strawberry Music Festival audience more frequently, please follow us on Facebook, Instagram and Twitter. Your information is safe and secure; Strawberry Music Festival will never share or sell even a shred of your personal data. It’s easy to sign up and it’s easy to opt out, so feel free to come and go from this list, as you please. So,sign up, stay tuned and see you there!